Peter Struve was born in Perm, Russia, in 1870. While studying at the University of St. Petersburg he was converted to Marxism. Over the next few years Struve wrote a series of articles on economics for radical journals published abroad. In 1897 moved to Switzerland where he joined George Plekhanov, Pavel Axelrod, Vera Zasulich and Lev Deich and the rest of the Liberation of Labour Group living in exile. Struve helped the group to publish the newspaper, Rabochee Delo (Worker's Cause). Struve also became editor of the Marxist periodical, Novoe Slovo (New Word). In 1901 Struve was arrested during a visit to Russia. After a brief spell in prison Struve was released and sent into exile. He settled in Stuttgart, Germany, where he edited Osvobozhdenie (Liberation). 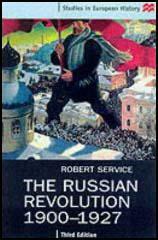 Struve returned to Russia during the 1905 Revolution. Over the years his views had become more conservative and he joined the Constitutional Democratic Party (Cadets). A member of the party's Central Committee, Struve was elected to the Second Duma in 1907. Following the abdication of Nicholas II Struve served as Minister of Foreign Affairs in the Provisional Government. An opponent of the October Revolution, Struve moved to France where he supported the White Army during the Civil War. Peter Struve died in Paris in 1944. (1) As a student Alexander Kerensky was deeply influenced by the writings of Peter Struve. One day in the fall of 1902, someone brought into the university the second issue of the weekly publication Osvobozhdeniye (Liberation), which had first been published in Stuttgart the year before and was edited by the young Marxist, Peter Struve. We were amazed and excited, because until that moment we had been completely unaware of the secret work that had been going on since the mid-1890s to organize the movement of which this journal was the official organ, a movement which combined zemstvo liberalism with the ideas of the intellectual, liberal, radical, and socialist circles. (2) Vladimir Lenin was an early critic of Peter Struve's interpretation of Marxism. In 1899 he wrote to Alexander Potresov about Struve's theories. If Struve ceased being a comrade (as a result of Lenin's criticisms), so much the worse for him. This is a loss for all comrades, because Struve is a very gifted and educated man. All the same, friendship is friendship and duty is duty, and nothing can prevent the conflict. 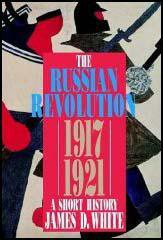 (3) David Shub was a member of the Social Democratic Labour Party who later wrote a biography of Vladimir Lenin. When Peter Struve, who had written the manifesto for the First Congress of the Social Democratic Party, deserted the Marxist ranks for the Liberal Camp, Lenin wrote an article for Iskra calling him a renegade and traitor. Takhtarev, who was then Lenin's close friend, asked him how he could permit himself to use such vitriolic language, since any worker who read the article might feel it was his duty to kill Struve as a "traitor". "He deserves to die", was Lenin's calm reply.